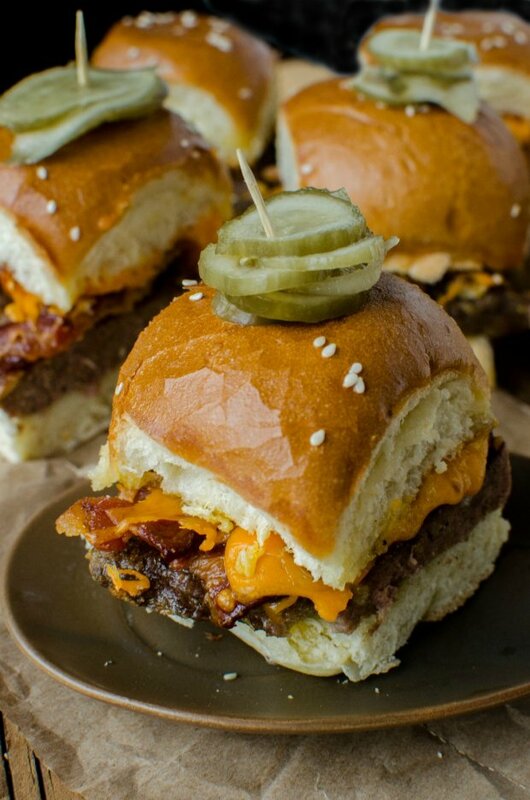 An awesome collection of party snacks including sliders, dips, wings, snack mixes that will not only save you time as you get ready for the big day but also be a crowd pleaser. There’s something for everyone! Hosting a party for Super Bowl Sunday or just staying in and watching the game? No matter what your plans are these easy party snacks will keep you and your friends ample company. In fact these appetizers will work for any party especially if you like things spicy. There are a couple of Sriracha ones in the list too! 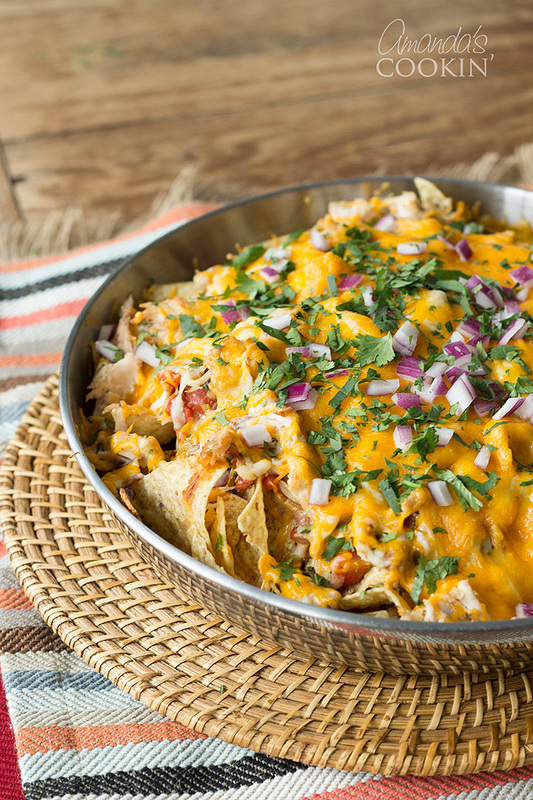 These easy rotisserie chicken nachos by Amanda's Cookin' will be ready in half an hour, perfect for the game day or a party. 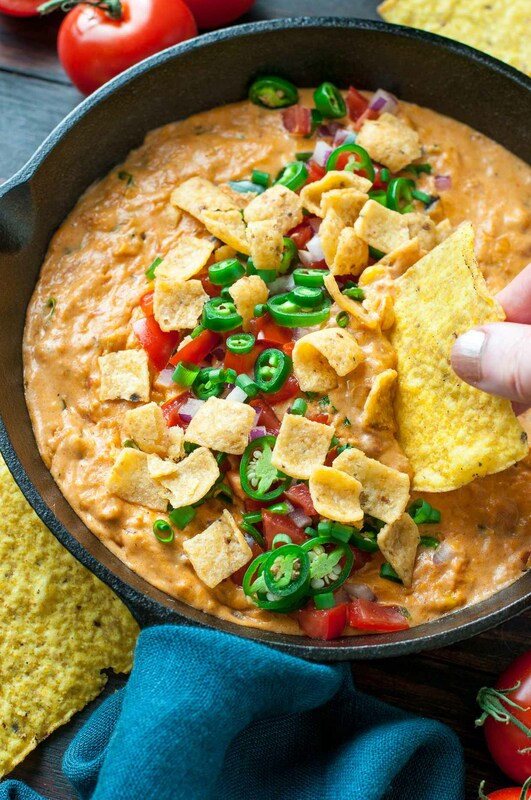 With its gooey cheesy goodness this dish is going to be a hit. Wholefully nailed it with this slow cooker chicken, homemade slaw with Sriracha ranch dressing sandwich. If you like it spicy then this one is for you! 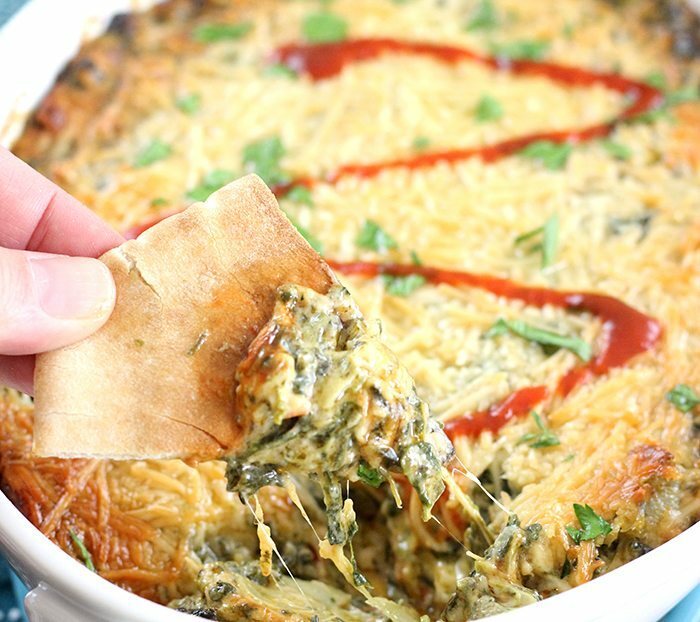 What's not to like about this bacon Sriracha artichoke dip from Cute Fetti? For vegetarians you can always leave the bacon out. 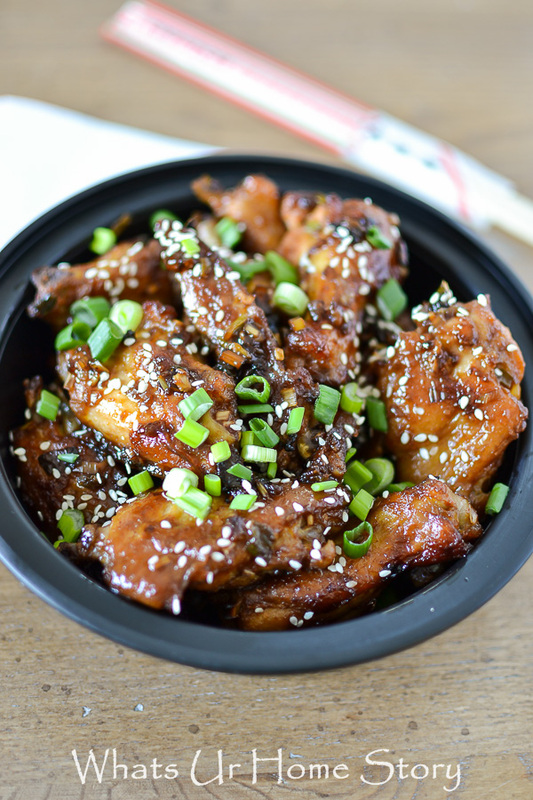 I can tell you first hand these sweet and spicy wings are lip smacking good. Always a crowd pleaser. Recipe here. 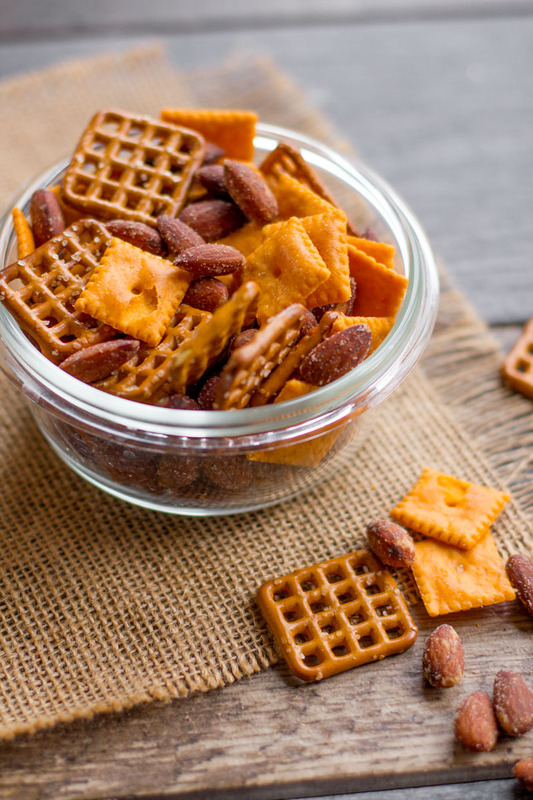 The prep time for this snack mix by Wholefully is 5 minutes! Less time prepping for the party means more time you have to spend with your guests or enjoy the game. Sliders cannot get easier than this! You bake the meat and the toppings all in Merry About Town. I would love for you to Pin the collage graphic in the post. If you want to pin an individual image please be sure to click through and pin directly from that fabulous blogger’s site so they get the credit… Thanks! Click on the highlighted link in the description under each image to be linked back to the original source! What are your favorite party snacks? Any family appetizer recipes that is your signature dish?